Event organizers are often faced with the challenge that they have to rely on various audio systems – according to location and equipment. Those often exceed the financial framework and take up a lot of storage space. 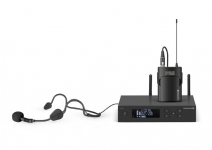 Beyerdynamic has taken on this problem and offers a solution for flexible equipment in form of the wireless system TG500. The manufacturer does not only implement state of the art characteristics, the product can be used licence-free almost all over the world depending on the frequency band selected. 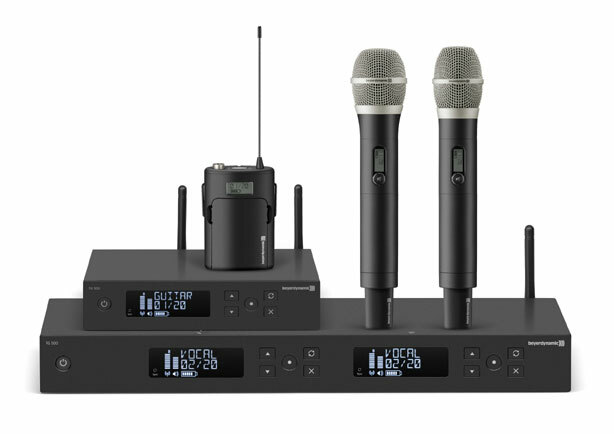 The wireless system from Beyerdynamic contains five sets in total, perfectly adjusted for events on small stages, theater productions, or speeches. While the ‘Vocal Set’ with the dynamic TG V50 handheld transmitter is optimally equipped for singing, the ‘Vocal Set’ with TG V56 condensed handheld transmitter is a great fit for presentations. In contrast, the TG L58 lavalier microphone in the 'Presenter Set' allows for unobtrusive positioning of the mic on the speaker’s clothing. The ‘Headworn Set’ with TG H34 headset microphone is well-suited for theater productions. 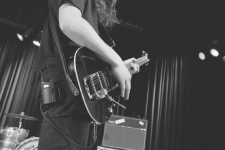 Picking up guitar and bass is a hit with the WE-CGI instrument cable included in the ‘Instrument Set’. The all-round talent is augmented by the ‘Rack Montage Kit’ include. The 9.5” single receivers are easily integrated into a rack. At the same time, it’s possible to attach two receivers to a high unit. An additional dual receiver with integrated antenna splitter is include for everyone who wants to use multiple channels. Every TG 500 wireless system from Beyerdynamic is run by a receiver. This is made up of a robust metal housing and an easy to operate front plate. Thanks to the elements being able to be operated intuitively, the manufacturer is able to offer a user-friendly menu navigation. This is augmented by a backlit LC display including a bold status display (main/second frequency indicator, battery level, broadcast frequency, name). According to Beyerdynamics, the system frequency ranges from 45 to 15kHz. A balanced XLR output and a balanced jack are provided as analog audio ports. On request the two audio channels of the TG 500DR dual-receiver, which is part of the wireless system TG500, can use a common output - thanks to that "mixed output" an external mixing console is not absolutely necessary.